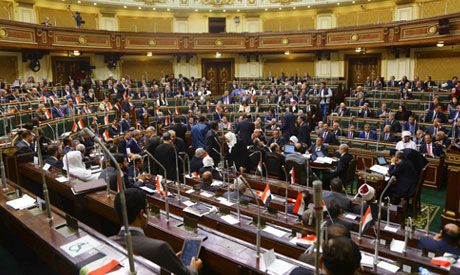 Chairperson of the Egyptian parliament's housing committee Alaa Wali dismissed on Sunday press reports which claimed that the committee has almost finalised amending the old law regulating the landlord-tenant relationship. Wali said that the reports are baseless and "just rumours that violate the truth and only aim to spread confusion and disappointment in society." "The amendment of this old law should be considered a very significant step because millions of Egyptians hope it will be passed by parliament very soon," said Wali, "but the fact remains that the government has so far refrained from submitting to parliament any of the long-awaited amendments to this law, which tackle a very controversial issue in society, and this is necessary because the government should have the final say on this law." Landlords have long demanded that the law – originally issued in 1964 to regulate the relationship between tenants and landlords – be amended to change its articles freezing rents. In 1996, the Egyptian government amended the law to state that rent in new buildings will not be frozen; however, the rule does not apply to buildings constructed prior to the amendments. "Some MPs who are members of parliament's housing committee have already submitted proposed amendments to the law, and as a result, the committee has decided to hold hearing sessions on the law," Wali said. "This does not mean that draft amendments will be issued anytime soon, because, as I said, the final word on this issue will be left to the government," said Wali, adding that "when it comes to the old landlord-tenant law in housing terms, there should be an extensive national dialogue to explore the views of all sectors of society on this controversial issue, and that government and independent housing experts come to give us their views on it." Wali argued that "the law should be amended in a way that should get the full satisfaction of both landlords and tenants." "In this respect, a very delicate equation should be observed; the amended law should not lead to raising rents of old housing units in a dramatic and abrupt way, but it should also make sure that landlords get an adequate return from their property," said Wali, adding "in other words, the satisfaction of one party should not harm the other." Some MPs said on Saturday that five draft laws on regulating the landlord-tenant relationship will be soon discussed by parliament housing committee in the coming days. Mohamed El-Hissi, the committee's deputy chairman, said the discussion of the law has become a necessity, particularly as the Supreme Constitutional Court (SCC) ruled last October that Article 18 of the law (law 136/1981) is unconstitutional. "The article states that landlords can't ask tenants to leave the housing unit even after the rent contract expires," said El-Hissi, adding that "the SCC said this article represents aggression on landlords and personal rights as enshrined in Article 54 of the National Charter." El-Hissi said that "hopes are high that amending the law to go in line with the court's ruling will be finalised before the end of the legislative season next June." "We also hope that other amendments proposed by MPs and the government are discussed so that we can have a new law in June," said El-Hissi. Abdel-Moneim El-Oleimi, an independent MP affiliated with the housing committee, told Ahram Online that "laws regulating the landlord-tenant relationship in Egypt have been a gross injustice to landlords since the mid-1960s." "At that time, a number of socialist-oriented laws were passed, leading to perpetuating the rent contracts and in a way that do not observe inflation rates and the higher incomes of tenants," said El-Oleimi, indicating that "some housing units in upscale downtown Cairo districts like Garden City still pay just EGP 5 in rent per month." "So it is high time that the law be amended to strike some balance between landlords and tenants in a way that should do no injustice to any of them," said El-Oleimi, arguing that "the ruling issued by the Supreme Court last October should ring alarm bells and send a message that perpetual rent contracts are unconstitutional and that the landlord-tenant law needs to be amended to address the injustices done to landlords who have long suffered the effects of rents being frozen." "My draft amendment of the law proposes an annual 25 percent rise in rents for four years, after which the relationship will be governed by the civil code." "This both goes in line with the constitution and helps landlords and tenants reach common ground at last," said El-Oleimi.